Custom hand painted drinkware. Wine Glasses, Whisky and Cocktail Glasses, Beer Steins and Pilsners, and insulated tumblers. Offering pet Portraits by the glass. 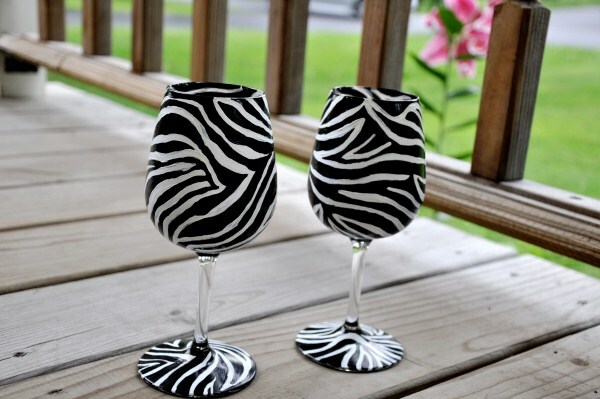 These are totally for the animal lover that has everything and LOVES Wine! 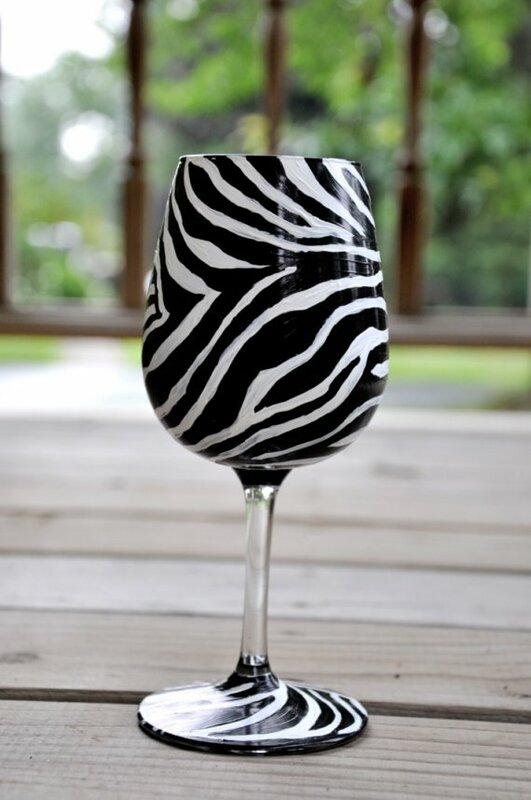 Each glass is completely one of a kind. 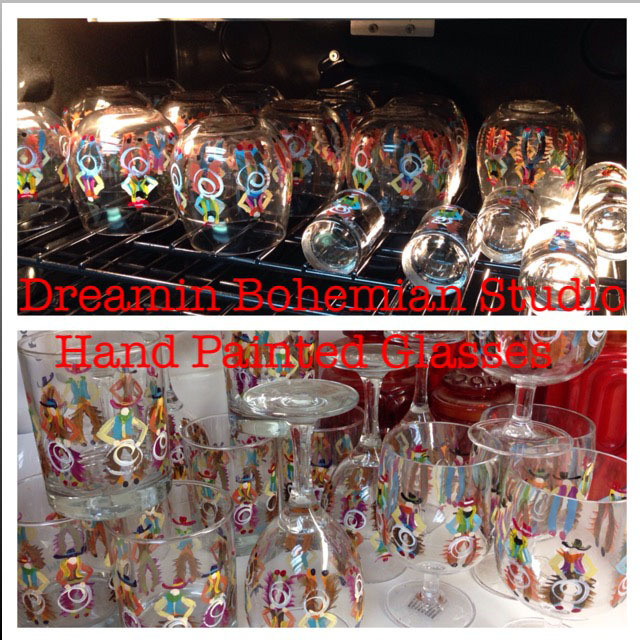 My hand painted glasses are painted in detail then are heat set in a low fire oven. Hand washing is preferred but the paints state they are top rack dishwasher safe as well. Once the glass is purchased, I will send you an email requesting that you send me the pictures you would like used to create your one of a kind per portrait on the style of glass that you choose. 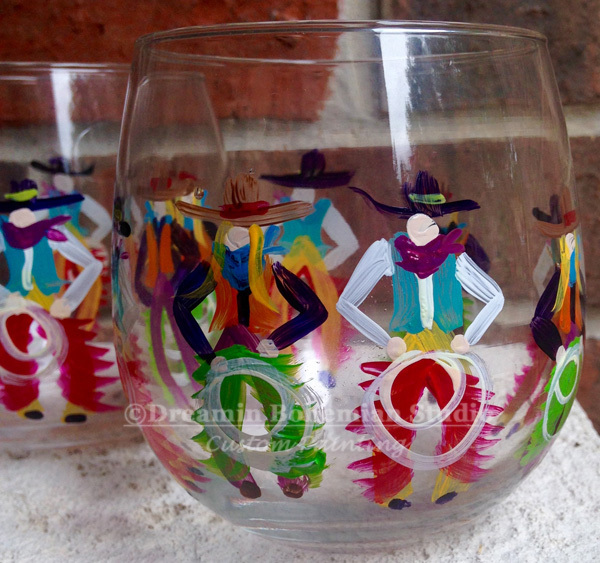 Several Hours go into painting a set of this fabulous stemware design. 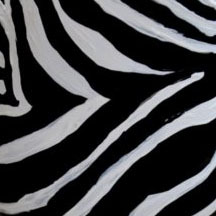 I go over each zebra strip a minimum of two times with the brush to insure perfect coverage. 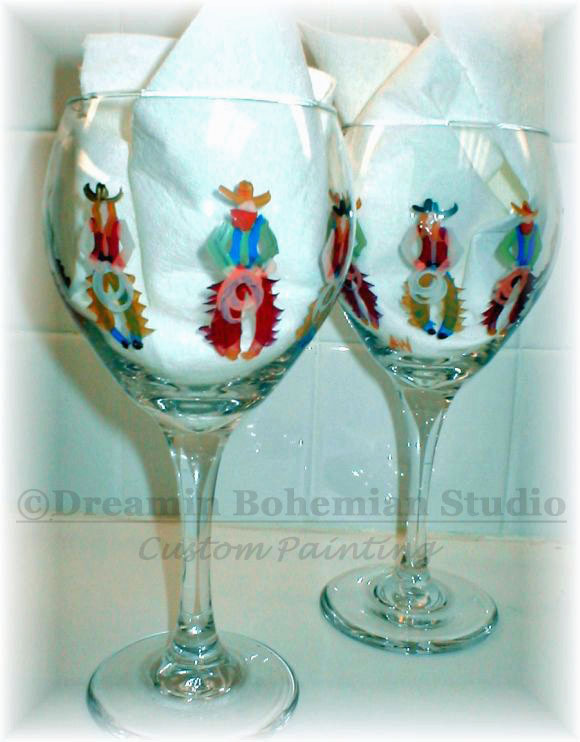 My painted glasses are heat set in a low fire oven to insure durability of the paint. Hand Washing is suggested. 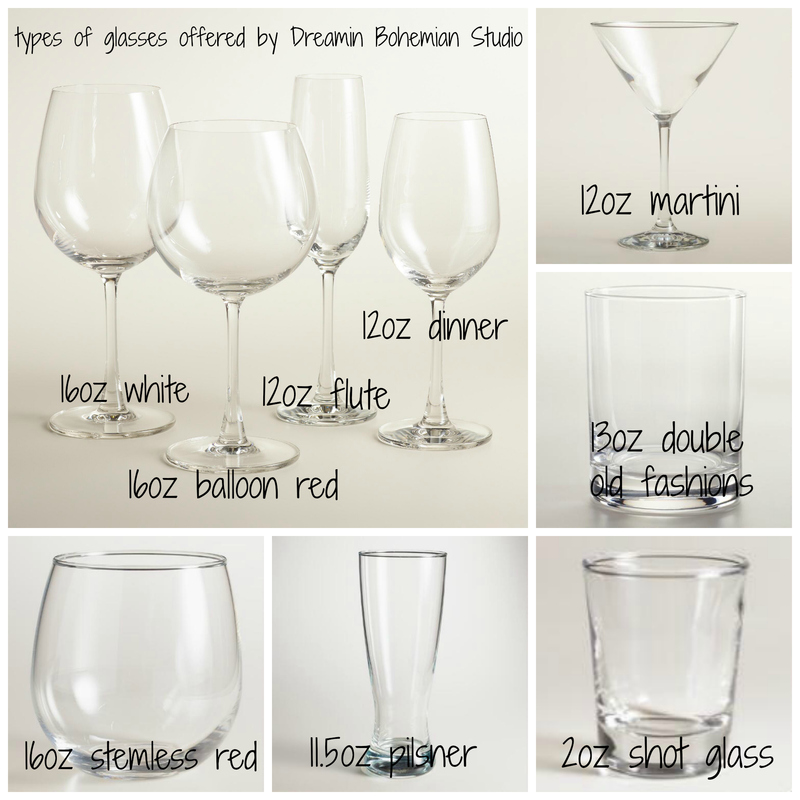 Styles of Glasses to choose from on this fabulous design are are pictured below, plus a couple others.